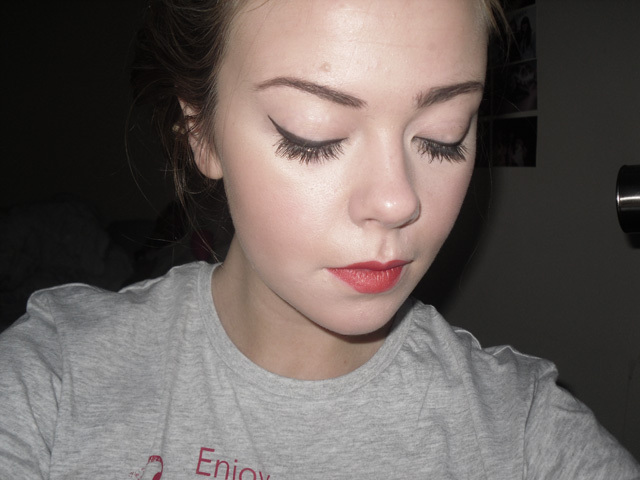 Bit of a different look from my usual choices today, mainly because my hair is up for once! At home in Liverpool this messy bun is known as the 'smackhead bun' but I'm not sure if thats universal vocab! I really like this casual tshirt that I picked up ages ago from Primark for about £6 I think, it has quite a vintage feel to it because of the distressed logo and print. 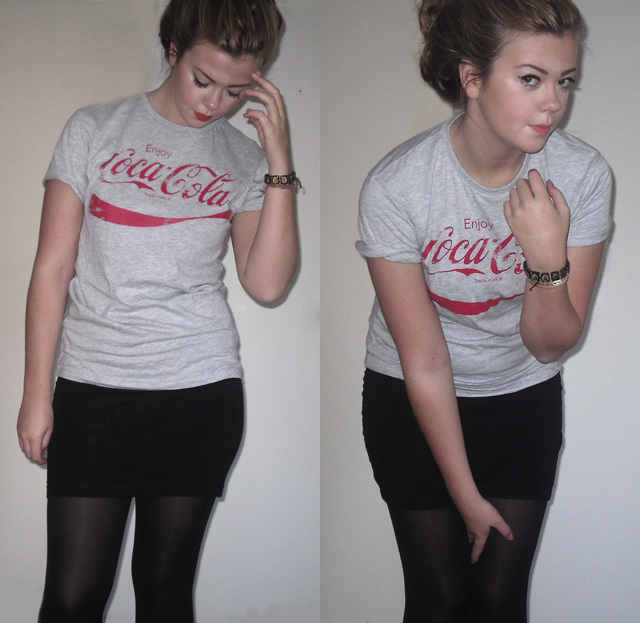 Funnily enough I really hate coke and only ever drink it if its mixed with vodka, but their tshirts are nice! My converse have been around for a while now, but I think they're one of those shoes that look much better when they're a bit roughed up, and super clean ones always just look wrong to me. I remember around 2006 when everyone was in the emo phase and all my friends wore them with their myspace names (yes that is me!) written on the white toe caps, ahhh good times! Got a to-do list as long as my arm for the rest of the day, including reams of deathly boring reading for uni tomorrow, making phonecases which have been ordered this week. There's 20% off all cases until midnight tonight! I also need to have a serious look at my finances and decide how I can save some money next term, because over the last week I've found myself literally scraping pennies together to be able to afford a Pot Noodle. Glam life! Love your makeup here, especially the lipstick shade! Absolutely love the tee! I spotted a Diet Coke one last time I was in Primark, and if you know me, you know that I have a serious addiction to the stuff. I really wish I had got it now. And I totally agree about the converses. 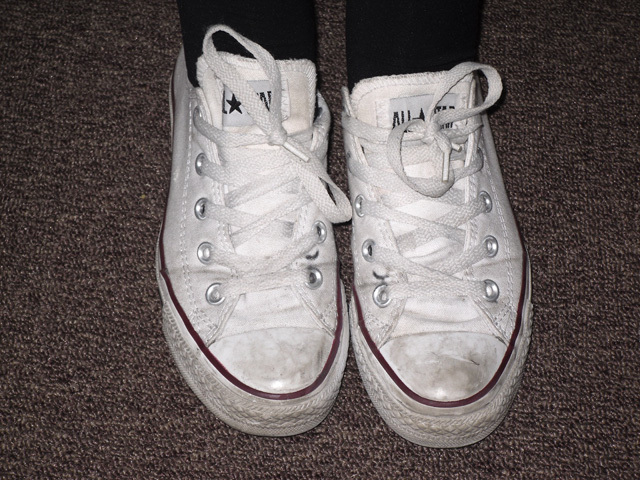 Mine had holes in them, so changed them over summer, and they're still too clean to look right. FML. HAHA Love that this is called a smackhead bun, i'm totally using it now!! oooh nice tshirt! and only six quid - so good! i swear i've seen similar ones to this in topshop for triple that.